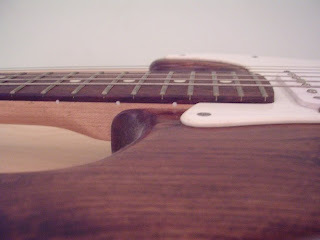 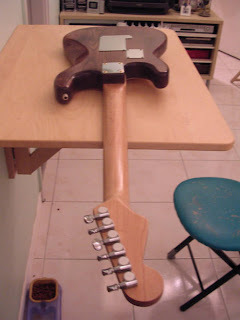 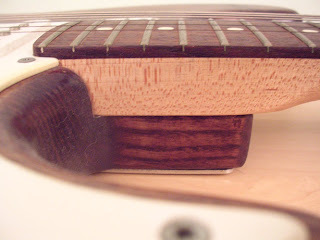 Well, I got asked if I could put up some more pictures of the finished guitar (and specifically the neck joint), so here's what I've got (apologies for the dust). 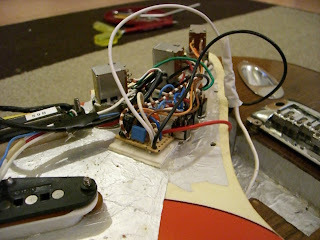 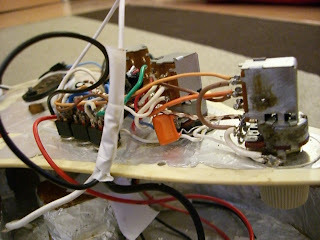 I thought I had a pic of the wiring too, but I can't seem to find it. 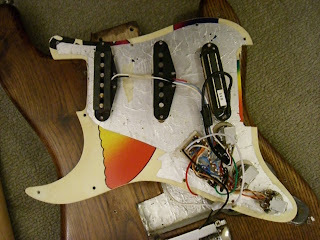 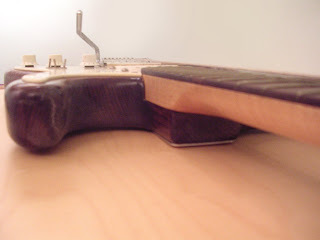 Next time I change the strings I'll remove the scratchplate and take some.